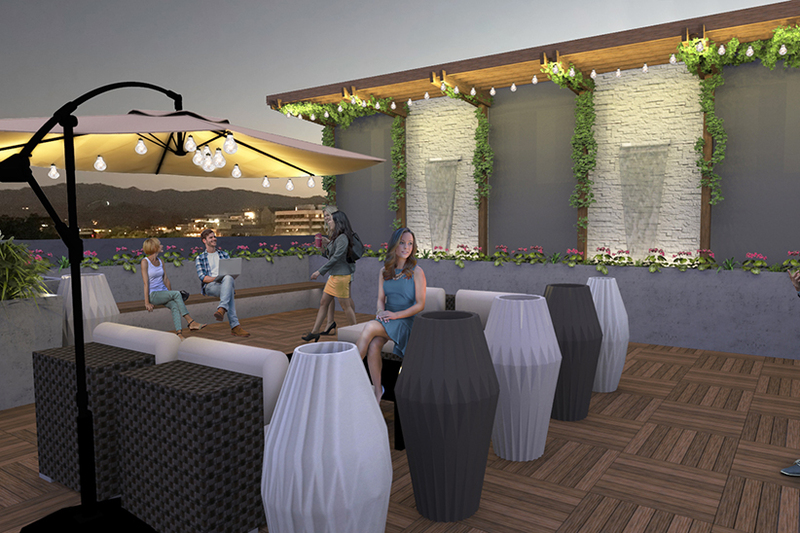 Our client had a vision to add to the amenities of their existing building by incorporating an exterior rooftop terrace, and RBA was asked to bring that vision to life. 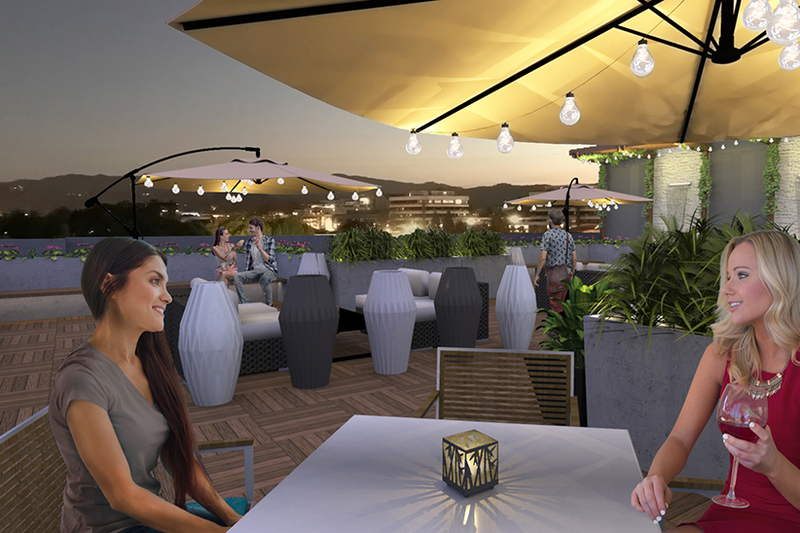 The rooftop offers views of both urban and natural environments, with new apartments and modern offices in the foreground and Mt. Diablo and the surrounding landscape in the background. 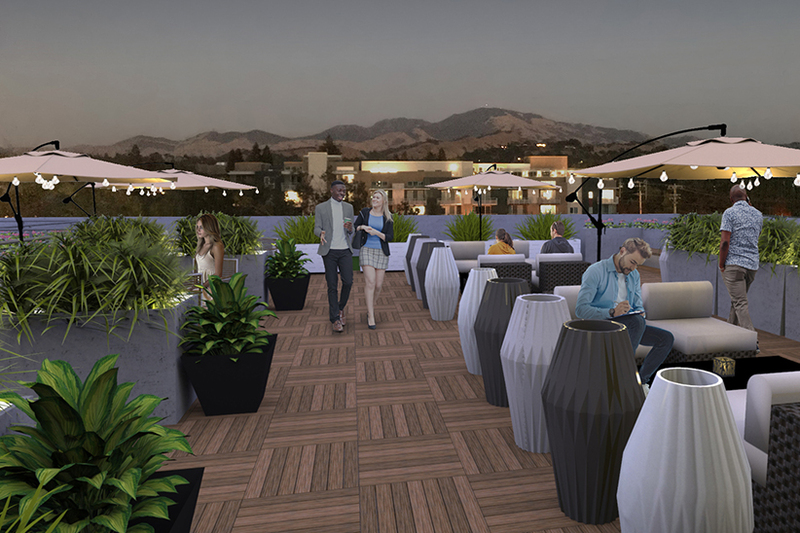 The design of the terrace included upscale outdoor furniture and biophilic elements in the form of lush planters and a water feature. The space provides building occupants with social opportunities and an outdoor working environment that previously wasn’t available.